Well last night the Stollery staff was able to get Taylor's pain and vomiting under control and they got to go home. 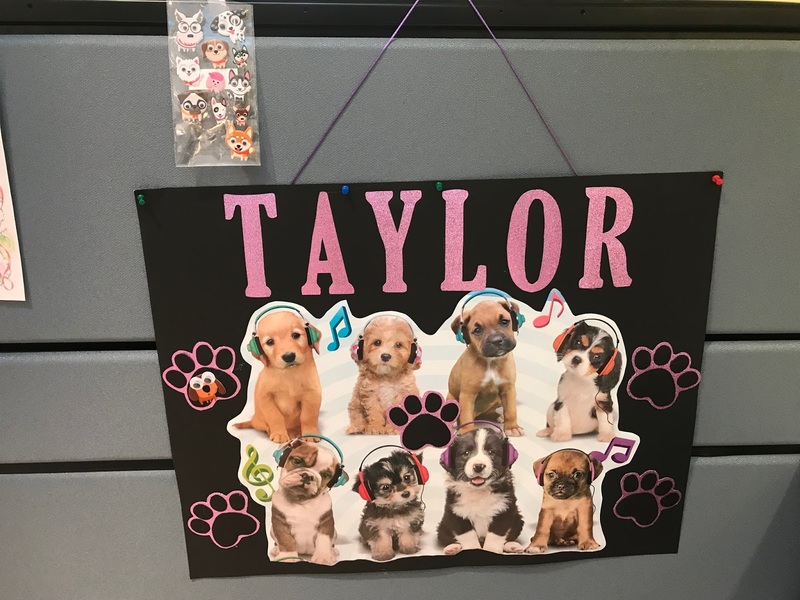 Mindy and Landon were so grateful for such amazing staff, what great care they took with Taylor and their thorough understanding of her case. Thank you to our nurses and doctors! Today was the second day of radiation. Mindy and Landon have decided to not do chemo at this point. 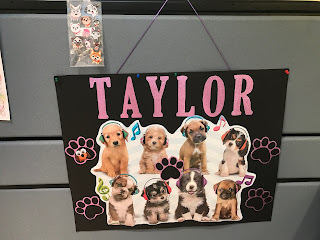 Taylor has a poster of her treatments on a poster and she gets to add a sticker after each treatment, which she thoroughly enjoys...loves stickers! 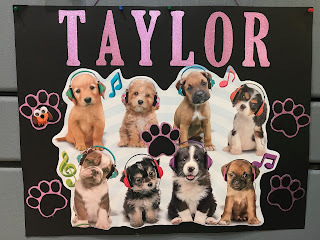 Taylor had a headache after radiation so she did not want to go out and do anything. She did bake some ginger snap cookies. She also had a nice long 3 hour nap. So far there has not been any vomiting, but she is still battling a headache. I spent some time with her after her psychologist appointment, and she beat me repeatedly at Uno. You could tell she was a tad out of sorts tonight and not wanting to take anymore medicine. She usually gets like this when she's tired or not feeling good, as she is generally a rockstar about everything. One thing that has occurred is how busy Mindy and Landon are just getting Taylor to appointments and monitoring her various symptoms. They are pretty exhausted and struggling to get normal stuff done. A parent of one of Taylor's former classmates, Kellie Jackson Bennet, asked if they needed freezer meals. I talked to Mindy about this as I know they do not actually have any, and she said that would be excellent. They have been eating out, fast food, etc. and don't seem to have time to make dinners. So if anyone might want to help by making a few freezer meals for them, or even fresh dinners, that would be greatly appreciated. Just send me an email at: DorcasL@telus.net if you would like to do this.